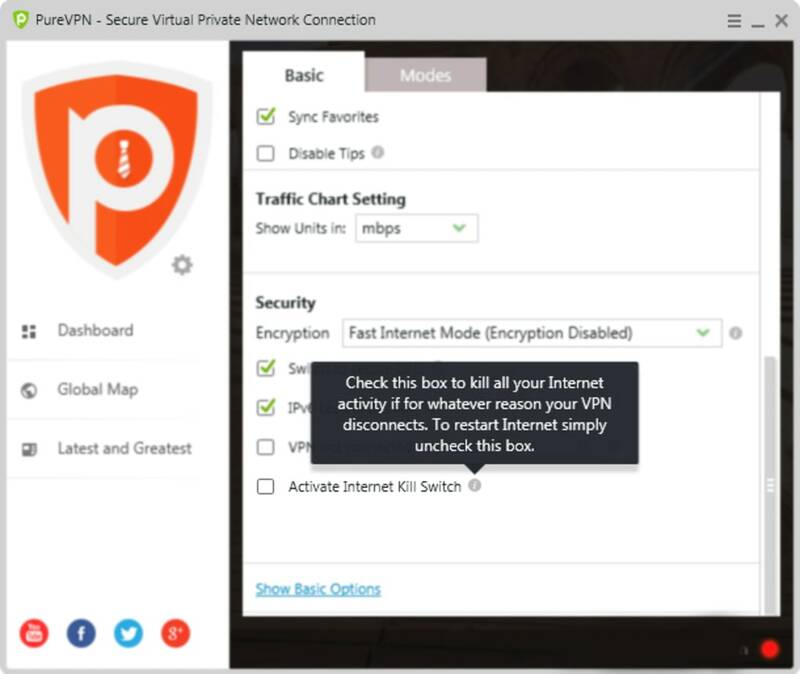 PureVPN is a multiplatform Virtual Private Network (VPN) solution for those concerned about security online, those that want to circumvent geo-restrictions, or those that simply want a private network for transferring data. 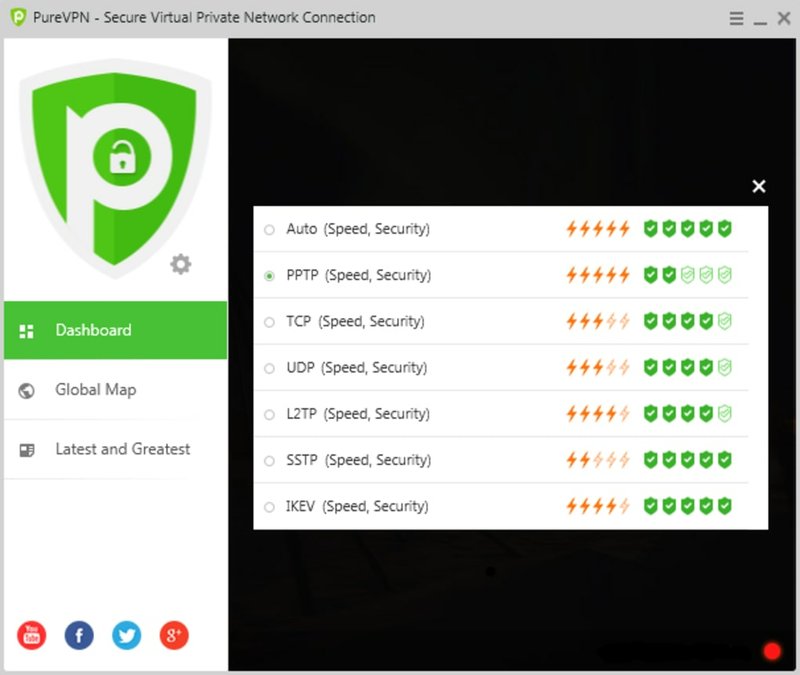 PureVPN is particularly suitable for anyone concerned about security when connecting to public WiFi hotspots on laptops or mobile devices, and those that want to watch sites such as Netflix and Hulu which are blocked in their region. The PureVPN installation process is quite straightforward and once installed, the connection dialog is very clearly laid out. PureVPN is very easy to use once installed and you can use one account with up to five devices in both the free and paid versions but the free version is limited to 3 days use. If you’re struggling on a particular platform, there are some useful tutorials for each one plus 24 hour online support if you get stuck. Setup is straightforward though, and PureVPN will automatically select the fastest server for your location, usually the nearest one to you. You can manually select a server and even the city you want to connect the proxy from in the dropdown list. Your new IP address is clearly displayed along with bandwidth usage. You can also select specifically what you want to use PureVPN for i.e. watching video, anonymous browsing etc. and PureVPN will adjust the server settings and selection to speed things up. You can choose the level of encryption you want for private browsing and reset the VPN if your connection drops. PureVPN has a huge network of over 450 servers in almost 90 countries which means you should always be able to find a reliable, fast connection which can be a problem sometimes with VPN providers. You can check the developer website for a full list of countries covered and there’s a useful status light which indicates whether the servers is working or not. There are no bandwidth throttling connections either, so if your ISP is restricting your usage, PureVPN can get round it. PureVPN also supports Split Tunneling, allowing you to identify browsers or programs to encrypt. 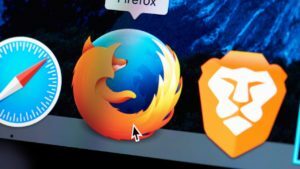 For example, if you want to apply encryption settings to one browser only for banking, you can do so while not affecting other browsers you’re using. As regards how secure it is, the developer claims that PureVPN uses “complex protocols” and specifically, 256-bit encryption. For those that want PureVPN just for video streaming, there’s a SmartDNS feature for faster video streaming although this is a free add-on that you must install yourself. Finally, there’s also support for open source VPN protocol OpenVPN if you want to use it. There’s no real need to use it though since PureVPN offers so many servers with a high level of encryption. PureVPN also includes, a free Kill Switch Add-on to instantly cut connections, Auto Connect in case of dropped connections, an NAT Firewall to protect from malicious sites and a secure DNS feature. Surfing speeds using PureVPN are surprisingly fast. Usually there’s some lag or slow down with VPNs but PureVPN allows you to surf almost as fast as if you are using a direct connection. Overall, PureVPN offers a fast and convenient way to protect your identity online or unblock sites in your region. 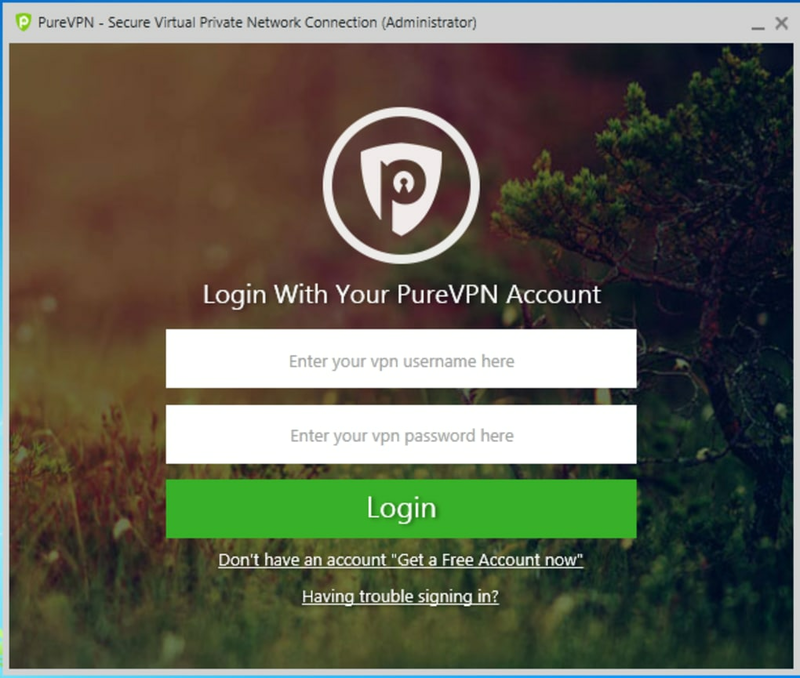 PureVPN has launched the updated VPN app for Windows, which is now available in English, German, French and Dutch. The best VPN service for Windows now has the feature of Split Tunneling and it is compatible with both, 32-bit and 64-bit, Windows. Now you can get complete security via hack-proof encryption up to 256-bit. 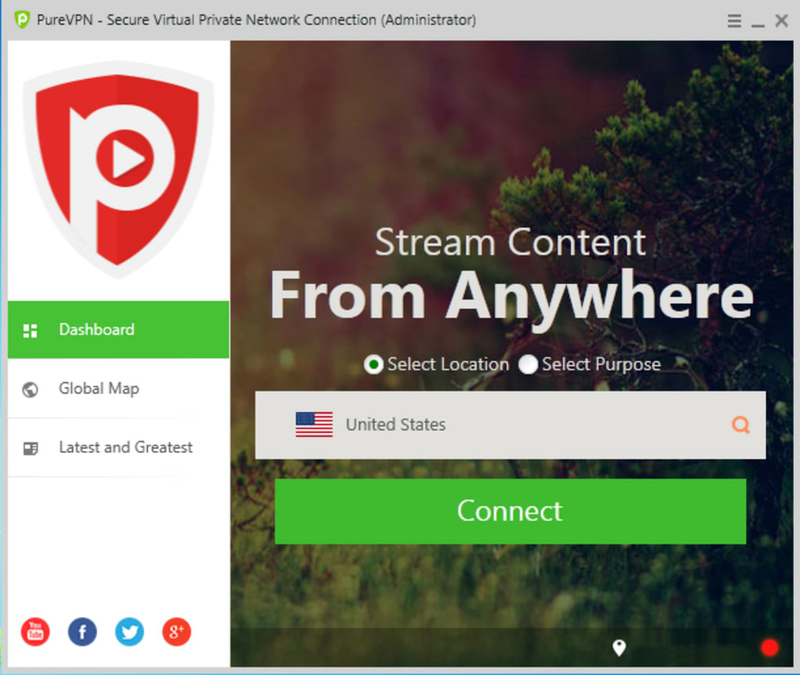 Plus, you can connect to any of the 550+ VPN servers in 140+ countries using the Windows app from the PureVPN. Great software for Windows Online Security. You need to explore this software. I haven't seen so many great security features combined into one application. Encryption, Dedicated IP &amp; Internet Kill Switch just to name a few. PureVpn the best at the right price:). Great. So fast. I have a internet connection of 300mbps upload and download speed. Their server can go up to 200mbps+ and upload 50mbps+. Blow the competition away!!! Used to use tunnelbear/surfeasy and they are snail mails. http://www.speedtest.net/my-result/4729951262. So many servers to choose from. The Best, Fast & Secure. wow I am loving it, So much to offer in one VPN. its fast, secure and has a great customer support. I did use other vpns aswell, but this one is blazing fast and has servers from all of the important countries.. Keep rocking PureVPN. 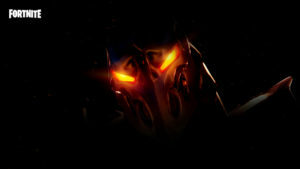 Auto connect to the fastest server availaible. I think its best in the town. I had a very good experience using purevpn. 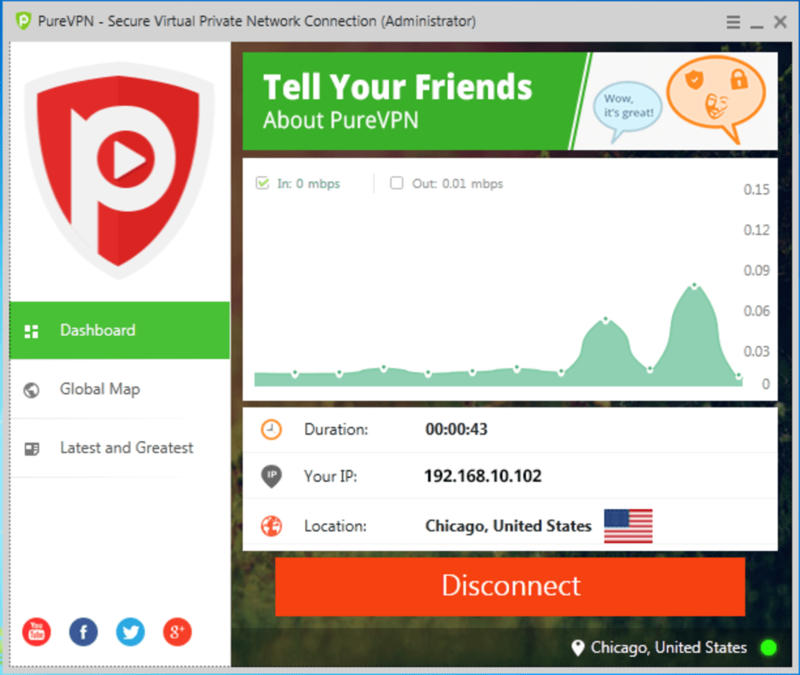 I also tried some other vpns too but I thinks purevpn is best in the industry. Number of servers in almost all continents. Great for HD Streaming and Securing public wifi. Affordable too!. 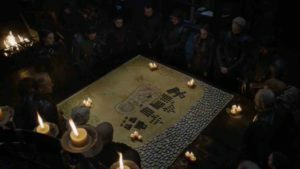 I have tried about dozen of VPN services, PureVPN comes on top. Multiple Logins lets me use one account on different devices. Easy to setup, also I always got assistance by support team at random hours. Oh! And If I must mention the HD streaming Add-on - Just love it! What do you think about PureVPN Software for Windows? Do you recommend it? Why?